First page of the logbook. If only all caches were so well presented! We’d only been back from our holiday for a day or two so are still quite jetlagged. Rather than our usual caching day this weekend, we opted to just do some caches closer to home. 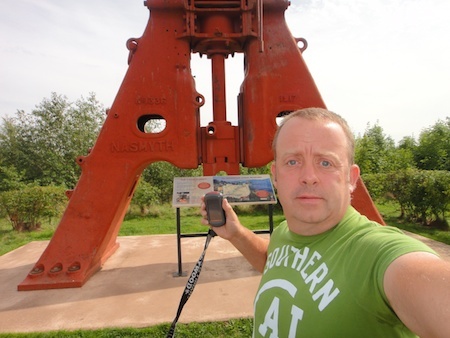 On Saturday I had to run some errands near to Telford so decided to pop down to Telford Services on the M54 and do the new Traditional and Earthcache there. They were both at exactly the same location – a massive old steam hammer that used to have a cache hidden inside it ages ago (but now archived). Nothing too tricky here and I even had chance to pop by the nearby Starbucks for a coffee to keep me awake! Next, I headed up towards Newport to do the two new caches there. Again, nothing too tricky here – they were both in really lovely spots and amongst the best presented caches we’ve seen (great custom label on the cache box etc etc). 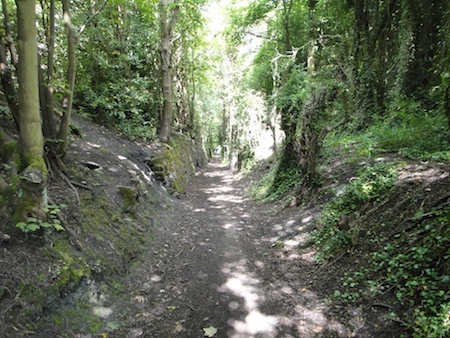 On Sunday we decided to go out as a family to walk the dogs and also to do the Shropshire Seekers’ new series around Great Bolas. 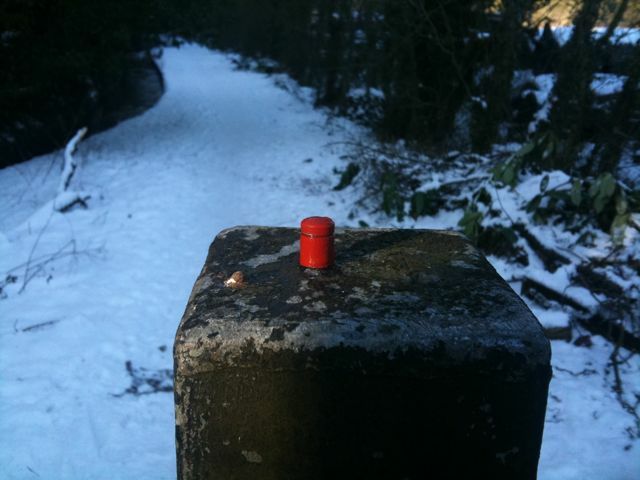 we’ve got a few of our own caches around the area so knew part of the route already. 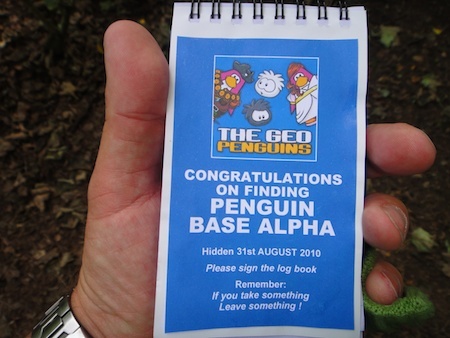 The series started off with two caches with “Sneaky” in their name. Luckily we’d seen both hides before a few times so found both of them really quickly. Next, it was a series of 4 caches plus a bonus cache on a circular walk. All were really nicely themed after a well known fast food restaurant (I use the term restaurant here very lightly). Great fun and the bonus was a big ammo box which we always appreciate. On Saturday we had tickets to go and see the matinee performance of Hairspray at the Grand in Wolverhampton, but I could not let the day go by without at least finding one cache. 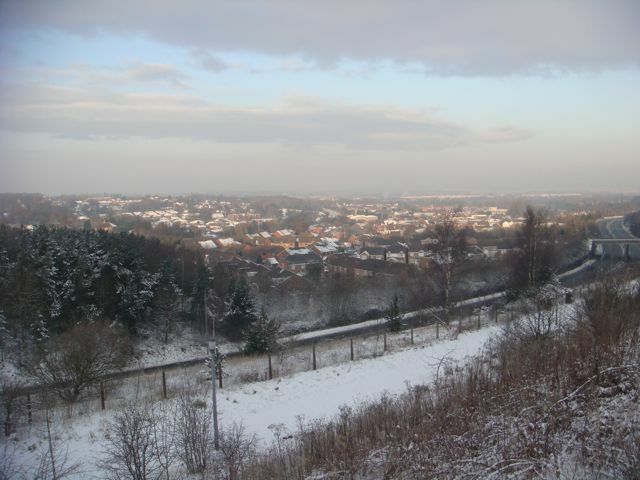 Thankfully three new caches had come out in an interesting looking ex-mining area in the north of Telford. Perfect! 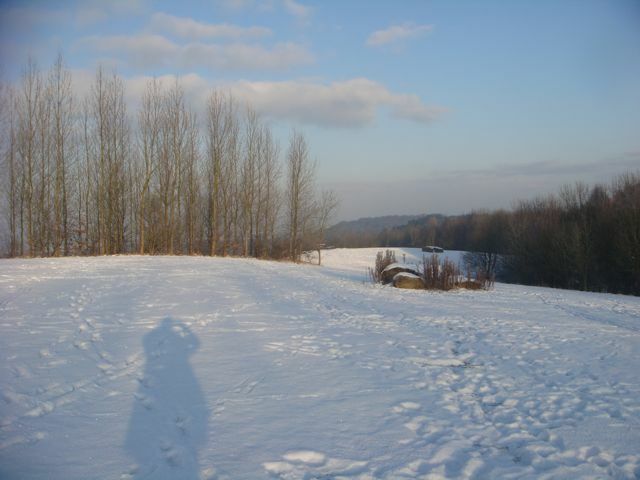 Off I went and was soon parking up for my walk round the caches. The first was a quick find. 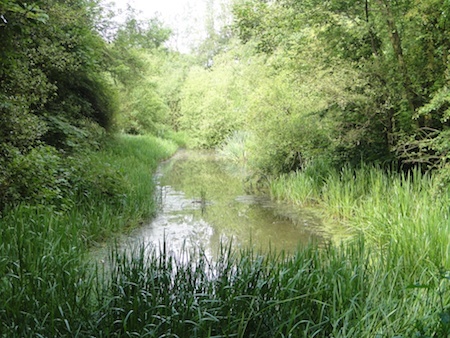 I was then taken through the old mining area, which is now lovely woodland and past part of an old canal to the next cache. Another easy find here and I was soon at the last cache, which was a not so easy find as it’s a very small Small, hidden in tons of ivy and right in sight of some houses. I got it eventually though. Now, off to meet up with the rest of the family and to catch the train into Wolverhampton for the show. 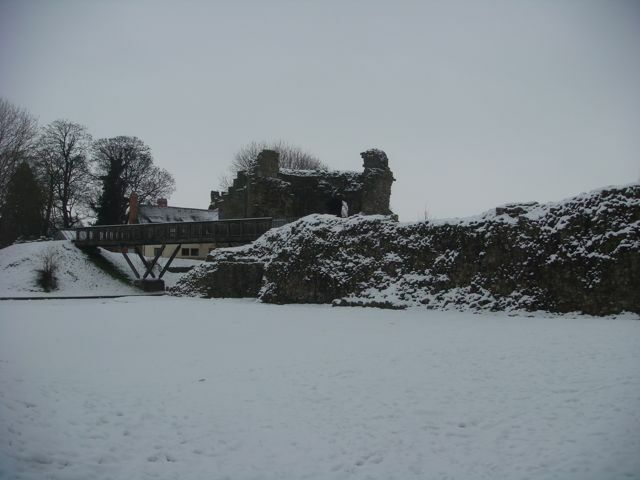 Snowed off, but we did still manage *some* caching! The weather has been looking dire all week with snow covering all the areas we usually cache in and it being too cold to want to venture out for long. We thus ended up calling off our usual day out caching this weekend and settled for a few caches each day to keep the caching itch from needing to be scratched too much. 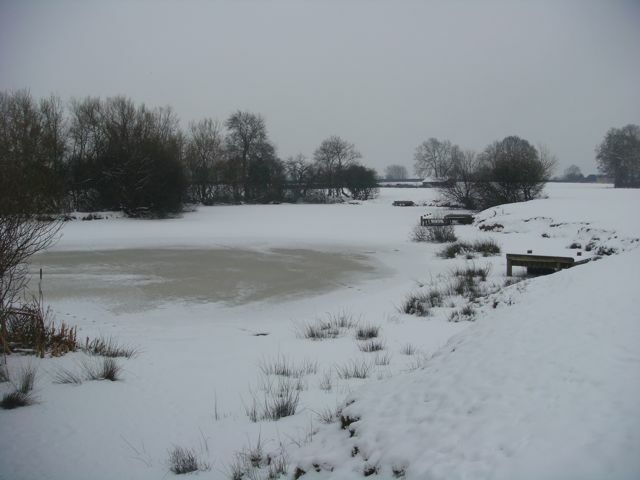 I had to pop out to Stoke for something else but had not really planned to do any caching. One thing lead to another and I ended up also having to visit Stockport. TomTom wanted to take me up the M6 but I had other plans as the scenic route up over the Staffordshire Moorlands before dropping down into Macclesfield and through Hazel Grove sounded much more interesting! 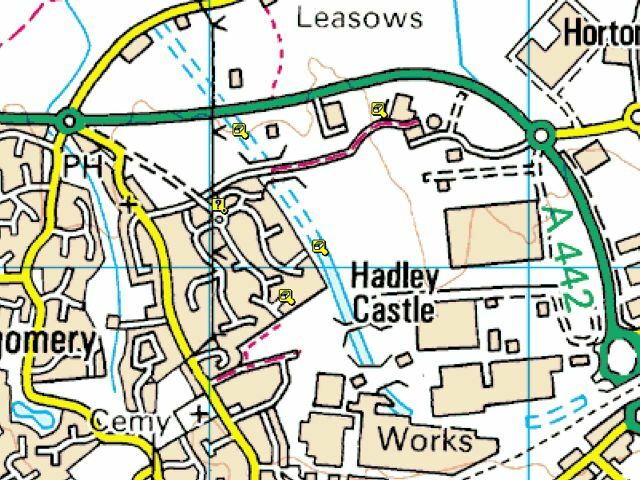 On the way I was looking out for caches that I might pass on TomTom and sure enough, I spotted one in Endon, just as I was coming out of Stoke. A quick check of my iPhone (I did not have a GPSr with me) gave me all I needed to know and it was a really easy find without even needing a GPSr. A bit further on I spotted another cache near the southern end of Rudyard Lake so stopped for another quick find. 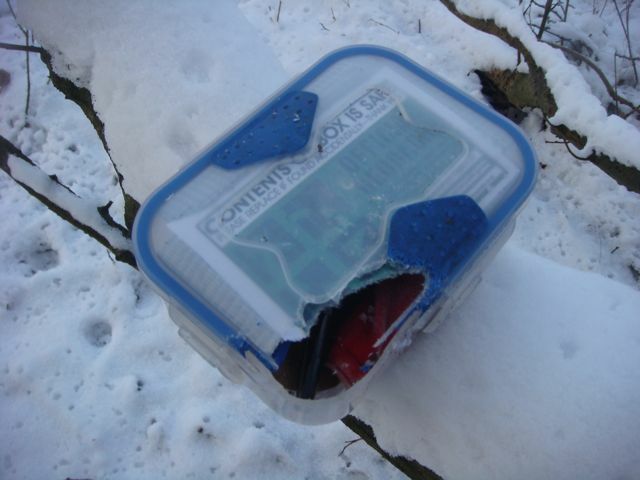 This one was a nano and I had no pen with me so had to make do with a picture of the cache container to prove my find. On the way from Stockport onto the M60 a bit later on I stopped for another drive-by right under Stockport Viaduct. This one was not to be though as the snow was really deep and I was looking for a micro at ground level. Ah well, two out of three ain’t bad :-). I had to drop Isaac off at school this morning so could not resist going to look for a few caches nearby which had been sat at the top of our closest to home not founds for way too long. 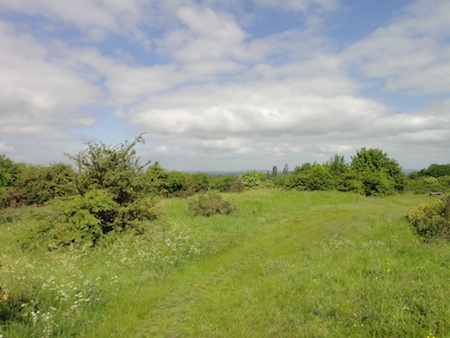 The first four caches were on the Cockshutt hill near Oakengates and looked like a nice linear walk from where I had planned to park. The first cache was right by the parking spot and a nice easy find. 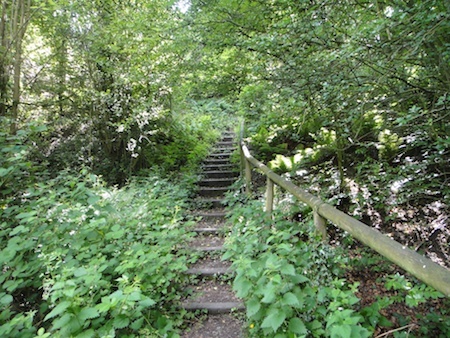 I then carried on up the steps to the top of the hill but failed to spot the next cache. I thought I’d leave it for the way back and carried on for nice quick finds at the next two caches. The second of these had a HUGE hole in the corner of the box where a rat had chewed through but was thankfully dry inside as the weather is too cold for it to get damp. On the way back to the Jeep I managed to spot the cache I could not find earlier :-). 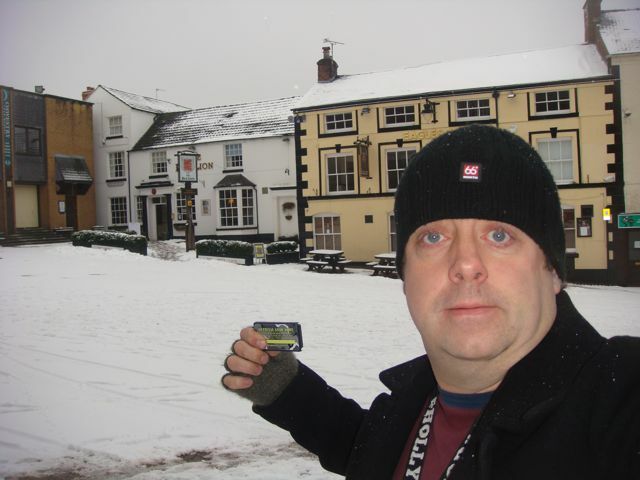 Just time for one more quick cache so off I set for the next nearest which was in Shifnal (to the east of Telford). I was soon at GZ but my heart sank when I was the amount of ivy :-(. I had a good look but after spooking two lone female dog walkers (I was on my own and must have looked a bit suspect!) I resorted to a PAF. The cache was then a really quick find 2 inches from where I’d already looked. Now for the drive home for a nice drink to warm me up. 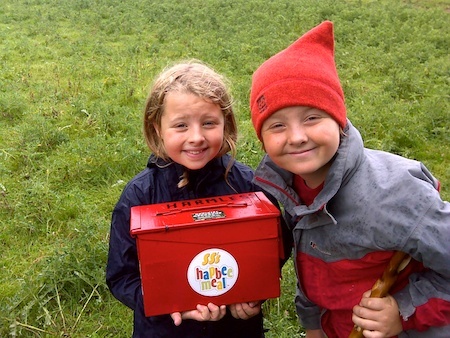 We had to drop the children off at their Grandparents but could not resist a quick look for the two new snerdbe caches near White Ladies Priory. We walked up past their existing cache which we’d found ages ago and soon found the first of the new ones. 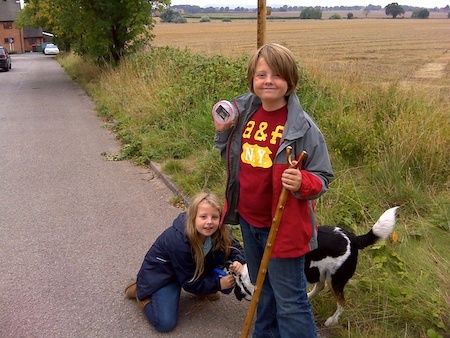 A quick walk out of the woods and up the next field had us with the second of the caches in hand. 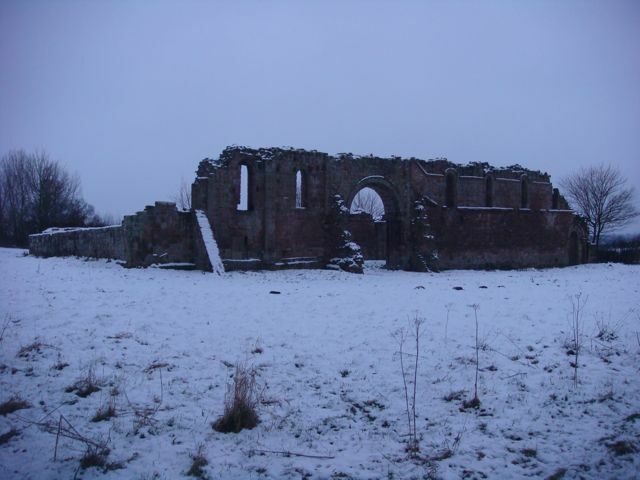 On the way back to the Jeep we took the chance to have a look round the old Priory ruins again. Mrs Bolas Heathens had an appointment in Gobowen (just north of Oswestry) this morning so I came along to do some caches afterwards before a nice dinner out in the area. After we’d done with the appointment, we set off to find the nearby multi cache. We’d had a DNF on this last time we were here as it was dark and we were short on time for a good search. This time I put my hands on the cache in the first place I looked – result :-). 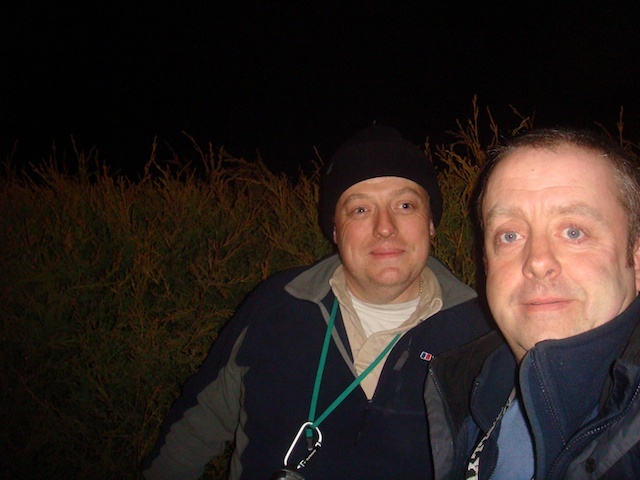 We then headed off into Oswestry for some urban caching, all of which were easy enough apart from one DNF where the owner had taken the cache home for maintenance but not temp’d the cache. I’ve added some notes to my DNF log to advisewhat they need to do to temp the cache as I think they are quite new cachers. We were getting hungry by now so stopped for dinner at the lovely looking pub the last two Border Meet’s have been held at. After we’d finished dinner we went outside to find the cache at the other side of the car park. The hide was clear but no cache was there. After checking we were looking in the right place with a previous finder we left a slip of paper to prove we were there. I suspect the cache has slipped into the wall further and is now in-accessible. We’ve posted a Needs Maintenance log to alert the cache owner to this. The next cache was a Christmas themed cache and GZ was obvious, but behind a fence. Hmmm – we’ve not done any caches by this hider before so could not be sure they did not want you to climb over the fence. The coast was clear so I went in for a quick look but the cache was nowhere to be seen. I checked with a previous finder who told me the cache had been moved yesterday as the fence had been put up a few weeks after the cache was hidden! Armed with the new co-ords, we drove to a closer spot and went in for a really easy find. Just time for a couple more caches before we really must be getting home. The next cache mentioned you might get your feet wet as the cache was on an island. Sure enough it was, but the island was jumpable from the bank and I soon had the cache in hand. Last one for the day was a short walk down an ex-road that is now closed off, not too far from the A5. 10 finds for the day, which is not up to our usual tally but not bad for a couple of spare hours each day. We’re hoping to return to a proper caching day out next weekend as we really missed it this weekend, despite the fun we’ve had on the few caches we’ve found. 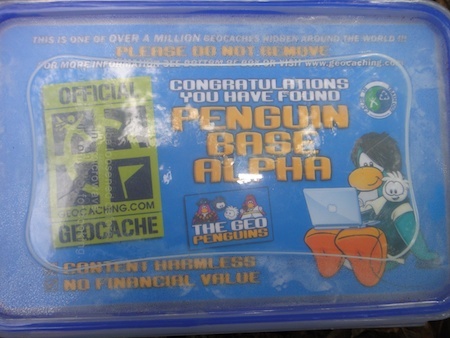 A new cache had been published not too far from Isaac’s school last night. Late this afternoon I had to drop Mrs Bolas Heathens off at school for an hour so decided to go and try and find this new cache while I was waiting for her. The cache was almost a drive-by and was a quick find in the place it just had to be. It’s the first cache hide by a newish cacher in the area and was a decent sized box with some good swaps in – just the way we like it. The cache page said about it being at the bottom of a field belonging to a now defunct school. It’s a shame it was dark when I found the cache as I did not get to see what I was brought to see. There’s always next time though, so all is not lost. The cache page had a curious note on it about a ‘bonus’ for the FTF and I had heard a whisper that the ‘bonus’ was the co-ords of a new, as yet un-published cache. 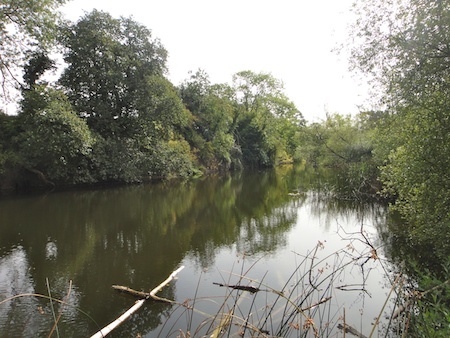 I may (or may not) have gone on to find the bonus cache later on and it may (or may not) have been a nice hide ;-). I can confirm that I had a quick drive down some Byways Open To All Traffic nearby that I’d been meaning to explore for ages – great fun, especially in the dark :-). I’m not sure what the cache owner has in store for us all with the ‘bonus’ cache but hopefully all will be revealed very soon. Today was Mrs Bolas Heathens birthday and she had invited quite a few of the Mum’s from school over for lunch. I thought I would make myself scarce as I’d never get any work done as they would be directly below my office chatting away. I set off to clear some of our page 1 Not Founds, starting with an urban micro in Telford. Lots of long grass and places you could put a cache here. After looking in the obvious places and some more sneaky places, I came up empty handed. I resorted to a PAF who directed me to the cache, which was in a less obvious place. It turned out later that Tizzie works very close to this one and had not realised there was a new cache so close to work. Then it was off to find the Rabbit Run caches. The first one had a sneaky twist using a variation on the old childhood getting a calculator display to say ‘hello’ on the screen. ALl good fun and nice to see something different for a change. The rest of them were easy drive-by’s, but did involve quite a bit of trekking back and forth in the area as they were multi’s. Then it was onward to a lovely Shropshire Church Gem, an easy guardrail cache near Condover and a return visit to Shrewsbury Station to find the replacement Sidetracked cache there. All in all a good fun 3 hours was had, in some of our favourite parts of Shropshire.